Sustainable Conservation Approaches in Priority Ecosystems (SCAPES) and Climate Change Adaptation in the Eastern Cordillera Real (ECR): Reduce the synergic effects of the threats to mountain ecosystem conservation in the Royal Eastern Mountain Range that diminish their ability to adapt to climate change. 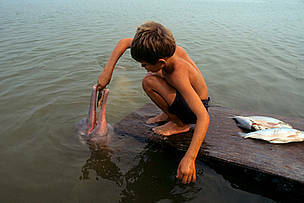 Boy feeding an Amazon river dolphin (Inia geoffrensis), river Araguaia, state of Tocantins, Brazil. 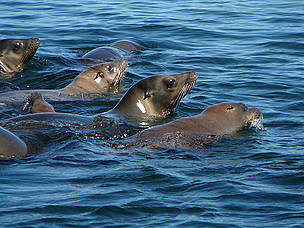 Support the implementation and strengthening of an ecotourism model in the Galapagos Islands founded on three pillars: environmental conservation, the population’s wellbeing, and the satisfaction of tourists’ needs; through WWF’s “Ecotourism Communication Campaign” and with its strategic partners, the Galapagos National Park Administration and the Tourism Ministry of Ecuador. Ongoing advising for the development of experimental ecotourism projects on each inhabited island so that the inhabitants are able to follow the model’s standards and pillars. 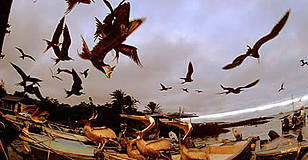 Guarantee the sustainable management and operation of tourism services in the Galapagos Islands through the implementation of the Best Practices program; Support the development and positioning of the Tourism Observatory, which was created with the goal of tracking the dynamics of tourism in the Islands, given supply and demand needs as well as social, environmental, and tourism pressures on the Islands. 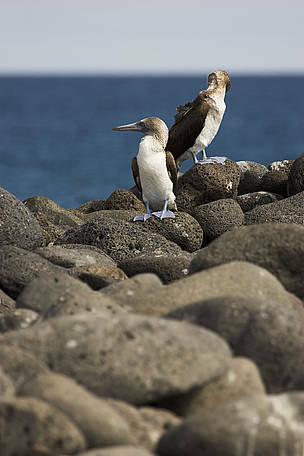 Improve the environmental management of the Galapagos by providing institutional support for the municipalities of the inhabited islands, focusing on waste recollection services, capacity building for technicians in solid waste management, and presentation of teams and information related to the population. Along these lines, WWF has begun to help the development of the recycling campaign “In Galapagos We Recycle, Do You?”, focusing on building a recycling culture that promotes environmental practices respecting the natural balance of the Galapagos. Support the distribution and broadcasting by WWF and its strategic partners within the Islands’ main public institutions of information to residents about alternatives to central energy production and reducing energy demand with applicable energy efficiency methods and practices. Assist in the collection of used oils to be sent to the mainland, and focus on the reduction of contamination from burnt oils in the Islands; Advise the municipalities of the inhabited islands on how to introduce an environmental monitoring system dedicated to the reduction of contamination sources in the Islands. Advise the Galapagos National Park Administration and the Galapagos Marine Reserve’s Participatory Management Board on technical issues related to fisheries management, including the design of population and fishery monitoring systems, the identification of landmarks, fisheries evaluations, and specific management measures such as fishing quotas, fishing seasons, fishing gear, etc. Support and monitor the marketing of Galapagos fishing sector’s products with a focus on higher quality fish rather than large quantities of fish, structured within the Fishing Chapter of the Galapagos Marine Reserve Management Plan. 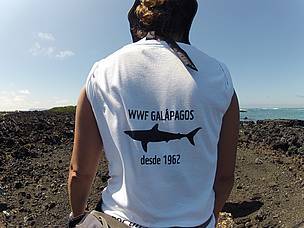 The WWF Galapagos Program has worked since its foundation in 1998on a zoning process in the Marine Reserve and since then it has worked on different phases like developing areas of use, physical demarcation, monitoring, and evaluation. Currently, the challenge of the new Protected Areas Management Plan is to innovate the existing zoning system to include comprehensive management strategies for both land and marine areas that assure conservation and sustainable resources management. This process will begin in 2013. The revision and renovation process for the Galapagos Protected Area Management Plan advises the promotion of wellbeing in the Islands and is founded on the conservation of ecosystem services, like fishing, tourism, water, and recreation. 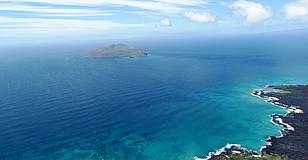 It began in April 2012 in response to various evaluation assessments that recommended the unification of management strategies for protected areas of the Marine Reserve and protected and unprotected areas of the National Park. All of the new Management Plan’s components have been developed, approved, and socialized, such as the plan’s basic objectives, its management programs, and its strategies and activities during the next ten years. The document is in its final stages of compilation and edition, and will be ready in June 2013. 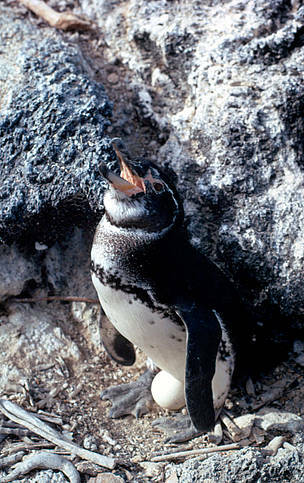 Alcatraz Patiazul (Sula nebouxii) en roca. Isla Seymour Norte , Islas Galapagos, Ecuador. Hawksbill turtle (Eretmochelys imbricata) laying eggs on a beach above high water mark, Seychelles. 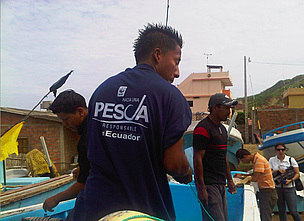 Implement a Fishery Improvement Plan (FIP) for artisanal dorado long line fishing, to eventually receive a MSC certification.